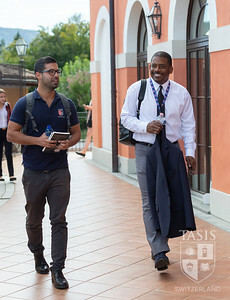 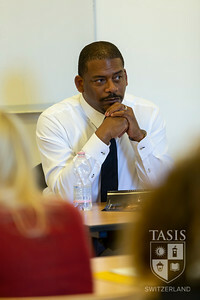 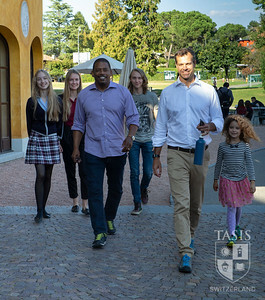 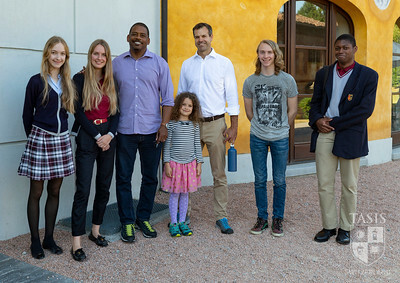 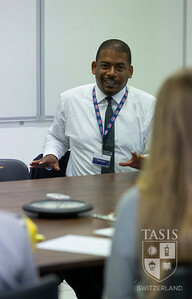 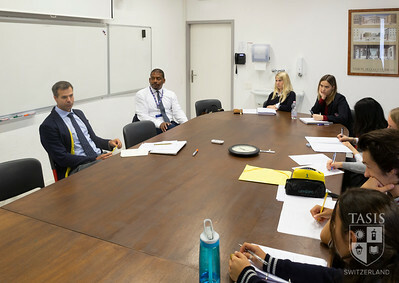 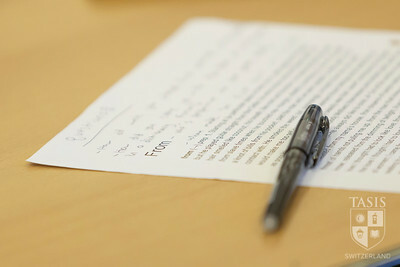 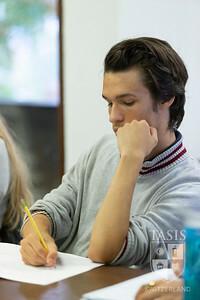 TASIS The American School in Switzerland was honored to welcome acclaimed poet A. 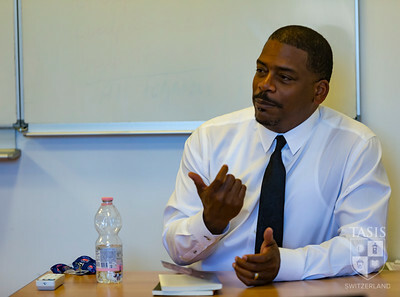 Van Jordan, the Robert Hayden Collegiate Professor of Poetry at the University of Michigan, to campus during the week of October 1–5. 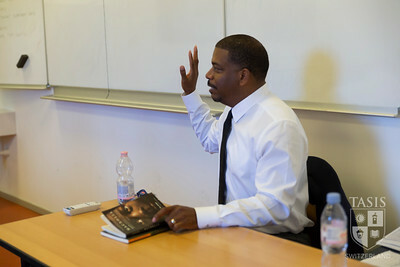 A Whiting Award winner in 2004, Pushcart Prize winner in 2006, and Guggenheim Fellowship recipient in 2007, Professor Jordan has published four volumes of poetry: Rise, winner of the PEN/Oakland Josephine Miles Award; M-A-C-N-O-L-I-A, named one of the Best Books of 2005 by The London Times; Quantum Lyrics; and The Cineaste. 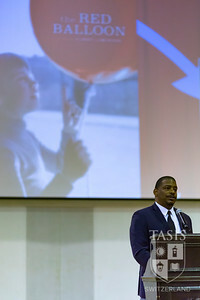 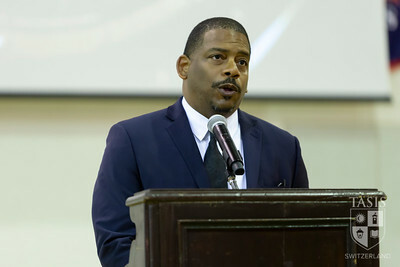 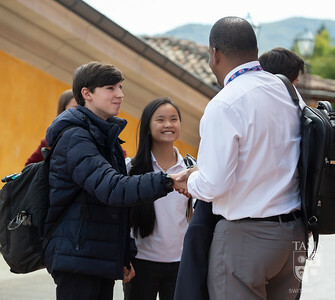 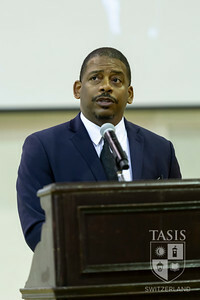 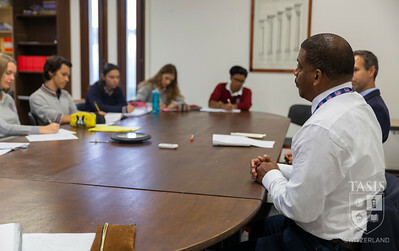 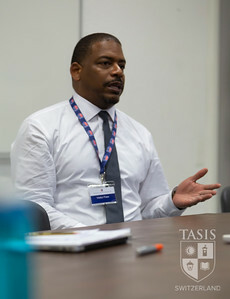 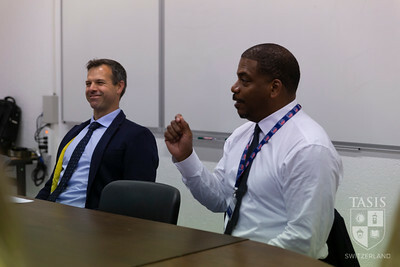 TASIS’s 2018 Linda Buchanan Poet in Residence, Professor Jordan addressed students in grades 10–12 at a special assembly on the morning of October 2—reading some of his favorite poems from M-A-C-N-O-L-I-A , The Cineaste, and Quantum Lyrics, the latter of which provided an opportunity to discuss the often overlooked fact that Albert Einstein was also an early civil rights activist—and visited a number of English and Italian classes throughout the week.